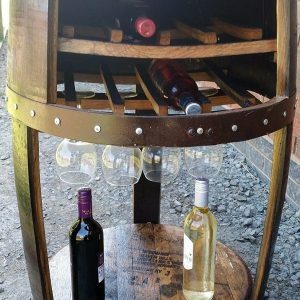 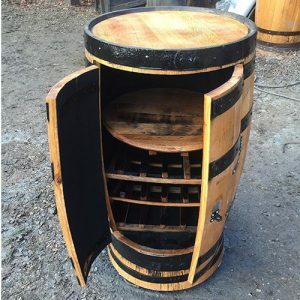 Solid oak whisky barrel wine table/cabinet. 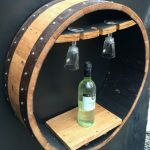 Hand made from recycled 200L Scottish whisky casks Internal wine rack holding approx 29 bottles. 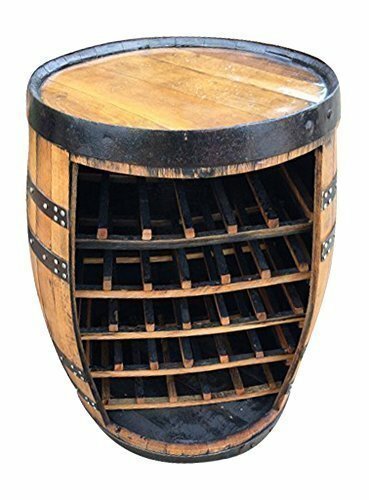 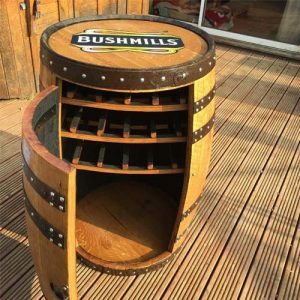 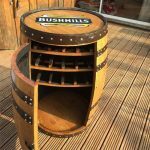 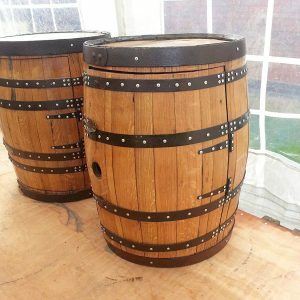 Manufactured in the UK Height 88 cm approx Width 64 cm approx Please note that these items are all individually made from used whisky barrels and appearances will vary from barrel to barrel.